DLR series is a flatbed, multi-needle (1～6 needles), double chain stitch machine with horizontal looper movement mechanism. DLR series is for mid heavy and heavy weight fabrics. 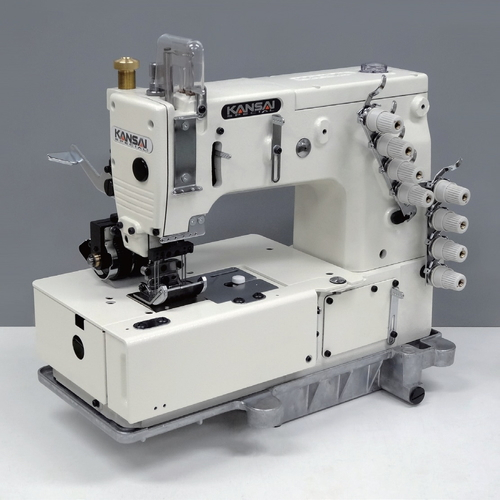 Kansai Special’s unique rear puller mechanism enables DLR series to produce durable and uniform stitches on mid heavy and heavy weight fabrics. Applications: lap seaming, attaching waistband and line tape, and inserting elastic.